Our public relations activity for vouchercloud is focused on increasing awareness of the brand through online, print and broadcast media coverage in an extremely competitive and growing sector. vouchercloud is the UK’s most-used money-saving brand and can boast being the most downloaded discount app in the UK, having received more than 6 million downloads since its launch in 2010. By 2011, it was available on all smartphone platforms and investment from global telecoms giant Vodafone in 2012 saw vouchercloud branch out internationally. It is now available in 17 countries globally, and most recently launched in Russia. 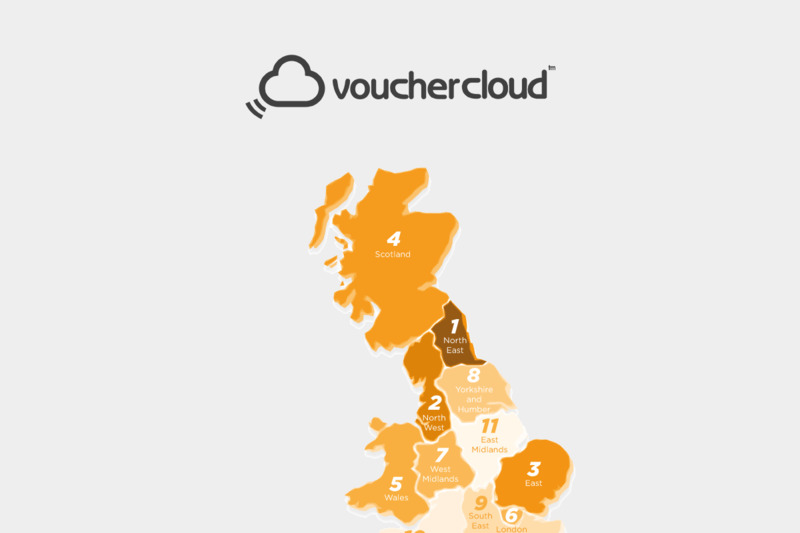 vouchercloud partners with many of the largest brands in both the UK and the rest of the world, bringing consumers the very best and varied discounts and deals from retailers and service providers. At 10 Yetis, as well as UK PR activity, we have also conducted the PR activity for the German and US arms of the brand. One particular focus of our activity for vouchercloud is on gaining links in all forms of online coverage, ensuring that the links are included on only the very best sites that will have the best impact on the company’s Search Engine Optimisation (SEO). We issue press releases based on the results of polls and studies that vouchercloud undertakes, with the main topic of financial habits that intertwine with all aspects of life to appeal to a wide audience; to amplify the reach of the vouchercloud brand. From lifestyle habits and relationships to motoring and technology, we send out press releases that appeal to all and cover a broad range of topics. Being a money-saving brand, another focus for us with the vouchercloud PR activity is to seek out the very best opportunities for the inclusions of discount codes and promotions in the various money-saving newsletters and on websites that receive millions of unique visitors every month. We target these sites, and print publications, as they are often the first port of call for the millions of bargain hunters looking for deals and to save money on their favourite brands. For our German and US PR Activity, we have used our UK experience to tailor our approach for the same client in differing markets and our results for both are testament to and a great example of our versatility. The coverage we achieve for vouchercloud on a regular basis reaches a range of media sectors. We secure discount code and deals mentions in the national media every week, with the likes of The Sun and MoneySavingExpert to Moneywise, Mail Online and more. We also achieved a link on the BBC website for the brand, which can be very hard to secure. vouchercloud is one of the go-to websites for journalists looking to mention money saving brands and deals and we continue to help increase awareness and media coverage.